Filmed over the 10 years of the Armoy Road Races. 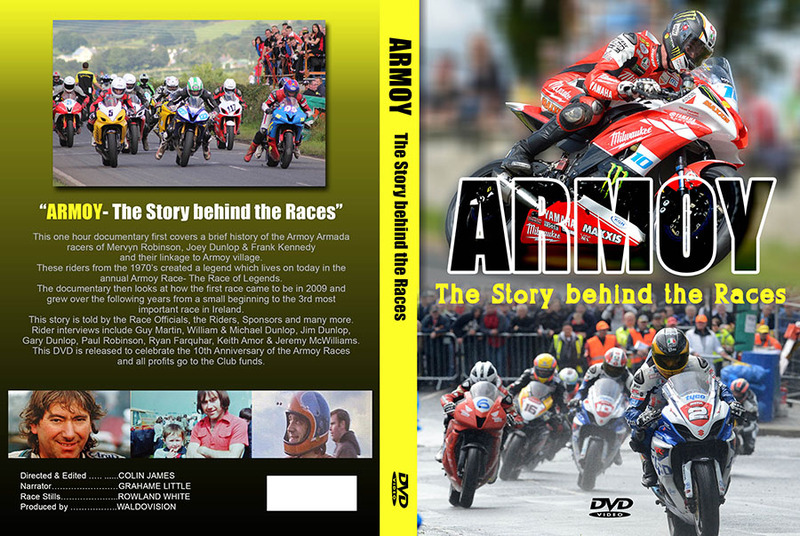 Colin James premieres 10th anniversary Armoy Road Races DVD in honour of the Armoy Armada. ROAD racing fanatic and videographer Colin James from Helen’s Bay tell the story of the legendary Armoy Armada in an exclusive film, ‘ARMOY – The Story behind the Races,’ which documents the journey of the Armoy Road Races as it celebrates its 10th anniversary in 2018. 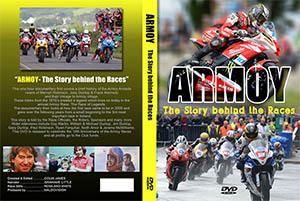 This one-hour documentary covers a brief history about the Armoy Armada team and focusses on the development of the Armoy Road Races since its inaugural race in 2009 and up to 2014, when it achieved national status with Channel 4 coverage, now known as one of the largest national road races in Ireland. Speaking to race officials, riders and sponsors from the few years, this documentary takes an in-depth look at the people behind the scenes who are dedicated to honouring the legacy of the Armoy Armada. Retiring almost 15 years ago, Colin James alongside his brother Alwyn set up a video production company, Waldovision, with the idea to create and promote films dedicated to road racing.